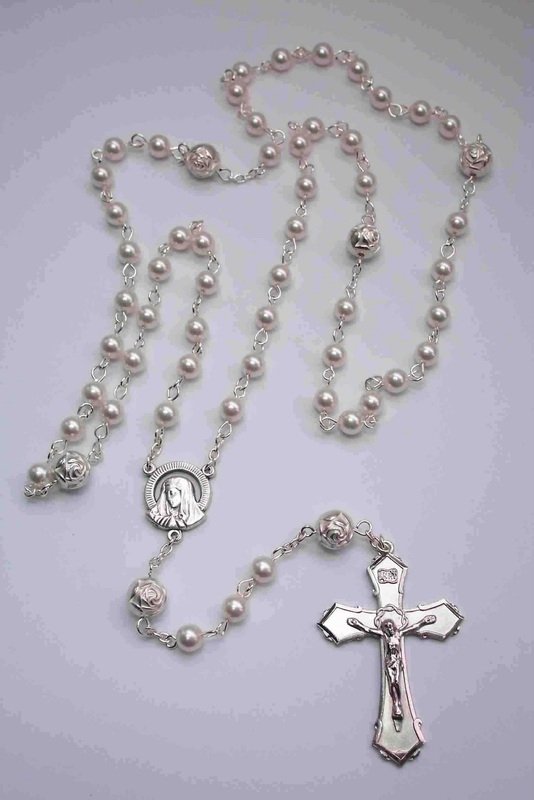 The photo at left is arranged illustrate the order of beads as used in praying the Rosary. The Rosary prayer always begins by with the Sign of the Cross and later by reciting the Apostles Creed full. Hail, holy Queen, mother of mercy, Hail our life, our sweetness, and our hope. To thee do we cry, poor banished children of Eve; to thee do we send up our sighs, mourning and weeping in this valley of tears. Turn, then, most gracious advocate, thine eyes of mercy toward us; and after this, our exile, show unto us the blessed fruit of thy womb, Jesus: O clement, O loving, O sweet Virgin Mary. V. Lord, have mercy on us. Christ hear us.